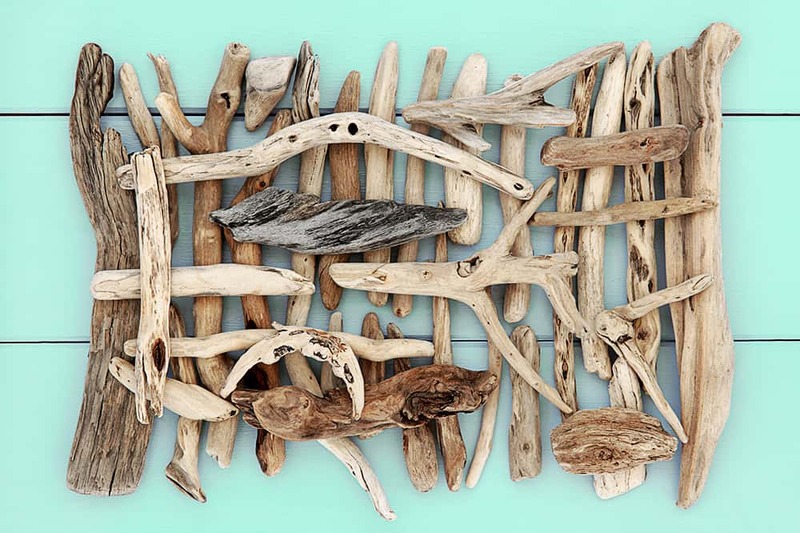 Driftwood crafts are the perfect way to prepare your space for summer! 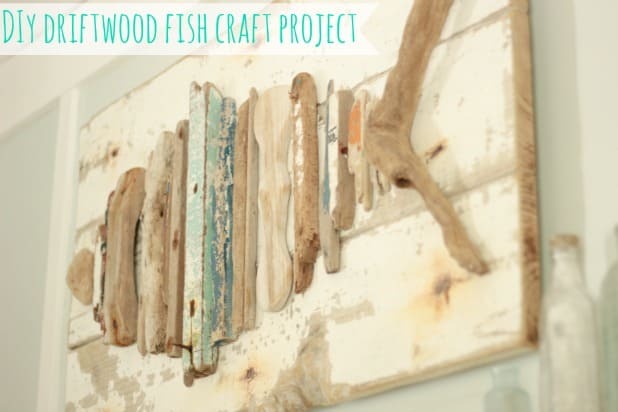 I love driftwood projects because they’re surprisingly versatile – they can work equally well near the ocean or by a lake, and they’re a great way to add a touch of summer vacation to any room. After a good storm, I love visiting a couple local beaches to collect driftwood, sea glass, and other items that wash ashore, so I usually have a stockpile of driftwood ready to use for various crafts and projects! 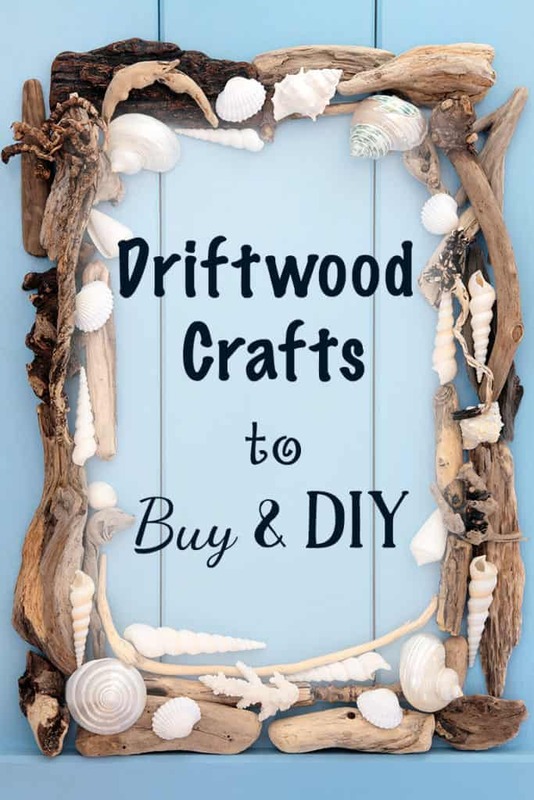 With spring in progress and summer on the way, it felt like the perfect time to share a round up of driftwood crafts to buy and DIY for summer. I love creating with found and salvaged materials – the results are so rich and every piece has its own unique story. I hope you enjoy this round up and are inspired to do some crafting with found materials soon! Brush the driftwood down to remove any clinging dirt/sand/bark/etc. You can use a stiff paint brush, wire brush, or an acrylic scrub brush like you might use to clean the floors. Rinse the driftwood off, preferably with pressure from a hose. Scrub and rinse again, if needed. Prepare a tub or bucket with soapy water, add the driftwood, and agitate the wood for 2-3 minutes. Rinse again. Refill the tub/bucket with a bleach and water mixture. You actually don’t need much bleach to clean things – you only need about 1 part bleach to 9 parts water. Make sure to only use room temperature or cool water to avoid making a noxious gas! Small pieces of driftwood only need to soak an hour or two, but larger pieces may need longer for the bleach water to penetrate throughly. To lighten your driftwood’s color, leave it in the bleach mixture for several days and/or add extra bleach. Be careful while pouring the bleach and wear gloves to protect your hands! Rinse the driftwood again to remove residual bleach, then allow the wood to fully dry (typically 3-5 days for smaller pieces, longer for larger ones). Voila – your driftwood is clean and ready to use! 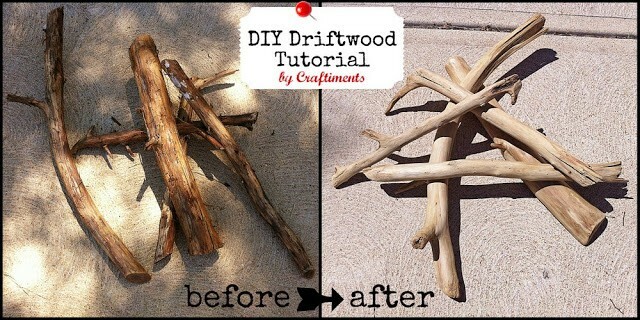 If you don’t have access to natural driftwood, you can make your own! Kristin of Craftiments has a lovely tutorial showing how to turn ‘regular’ sticks into ‘driftwood.’ How cool is that? And, of course, you can always turn to sites like Etsy to purchase driftwood if finding or making your own just won’t work for you. 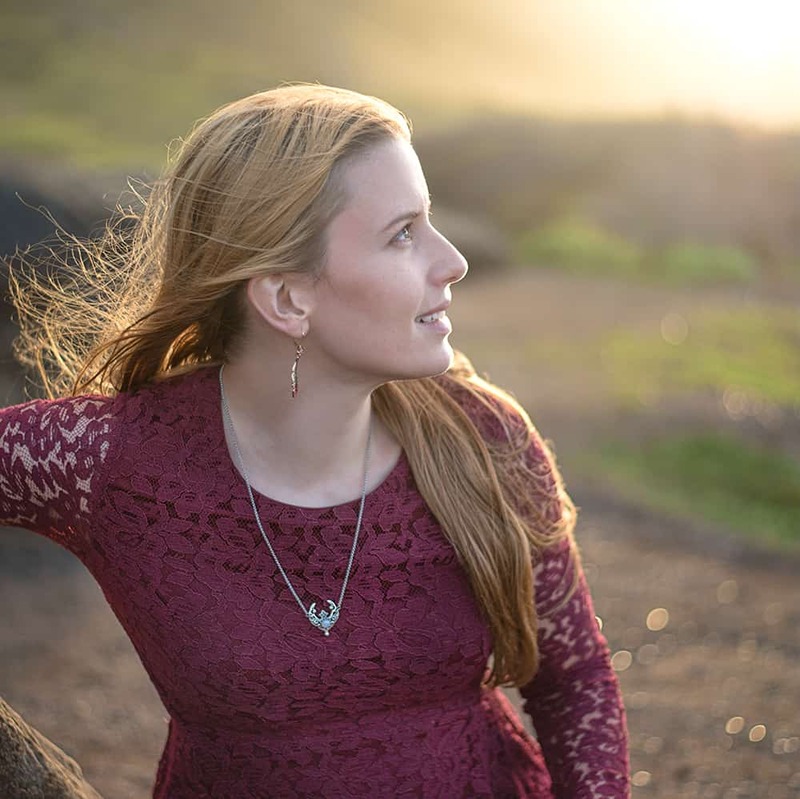 Alright – let’s move on to the driftwood crafts! I love finding extraordinary driftwood projects. We’ve all seen the picture frames, sailboats, and candle holders – it’s much more rare to find unique driftwood crafts. 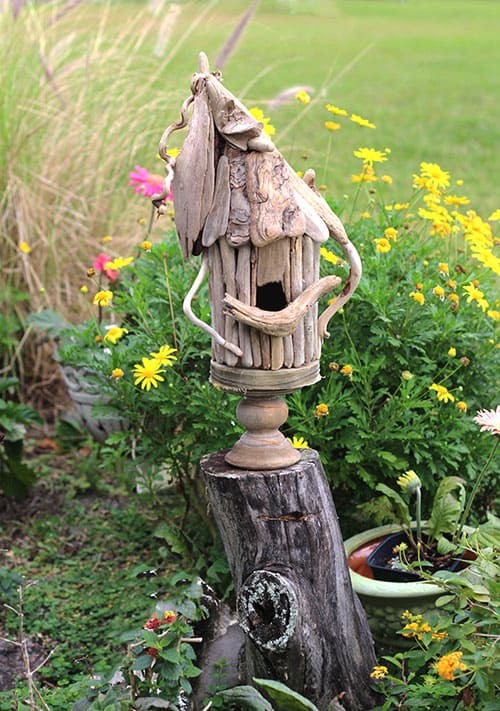 This whimsical driftwood birdhouse from DIY Driftwood is truly one of a kind! I also like that they recommend a professional glue gun and glue sticks designed for use with wood! A project I’ve had my eye on for months is this blanket ladder using driftwood from Jane + Sonja on Skillshare. 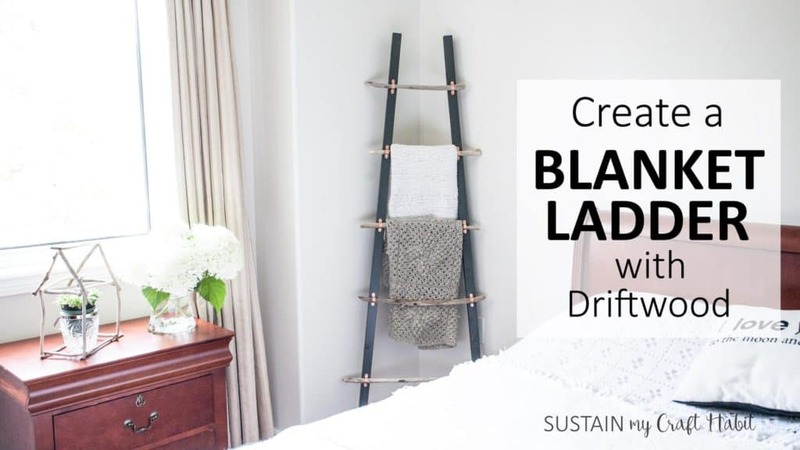 Because I’m also a Skillshare teacher, I have a magical link for a free month of unlimited classes, so if you click here you can sign up for Create a Blanket Ladder with Driftwood for free! 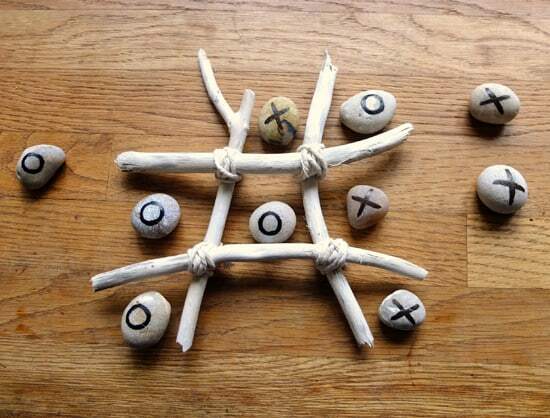 Chris of Thinly Spread has a lovely Driftwood Craft – Noughts and Crosses (that’s tic-tac-toe to us Americans!). I do like finding unique ideas, but what’s a driftwood projects round up without something classic? This driftwood fish tutorial from The Space Between looks far more doable for the normal gal than most of the versions I’ve seen! 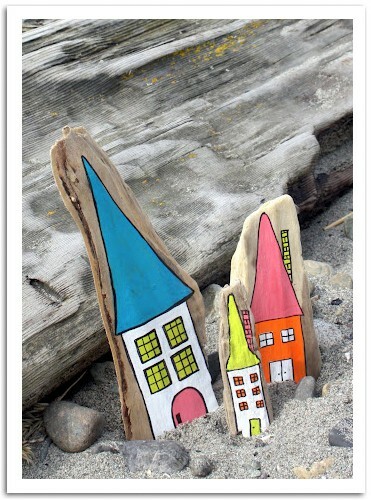 If you have a lovely flat piece of driftwood, these driftwood cottages from Lime Riot, via a Craftster post, would be the perfect project! 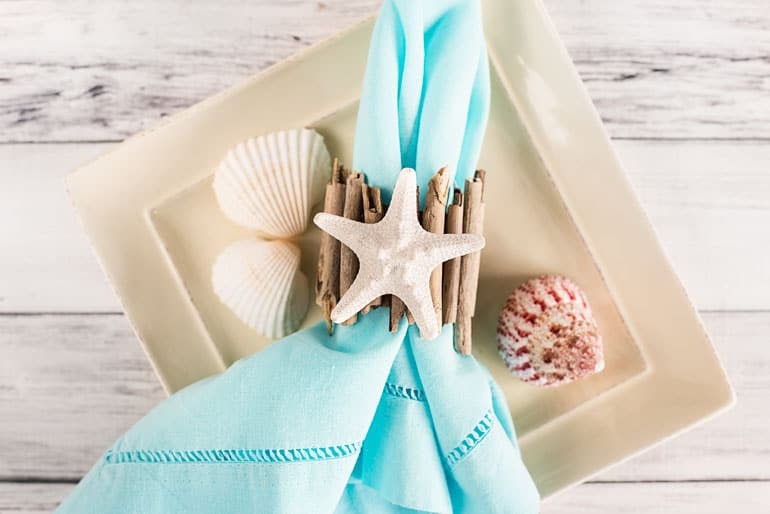 And, of course, I have to include one of my own projects – easy driftwood napkin rings. They’d be so lovely fora summer get-together! If you don’t have time to DIY any driftwood projects right now, I also found some truly amazing handmade driftwood crafts on Etsy! Dreamcatchers have been all the rage lately. 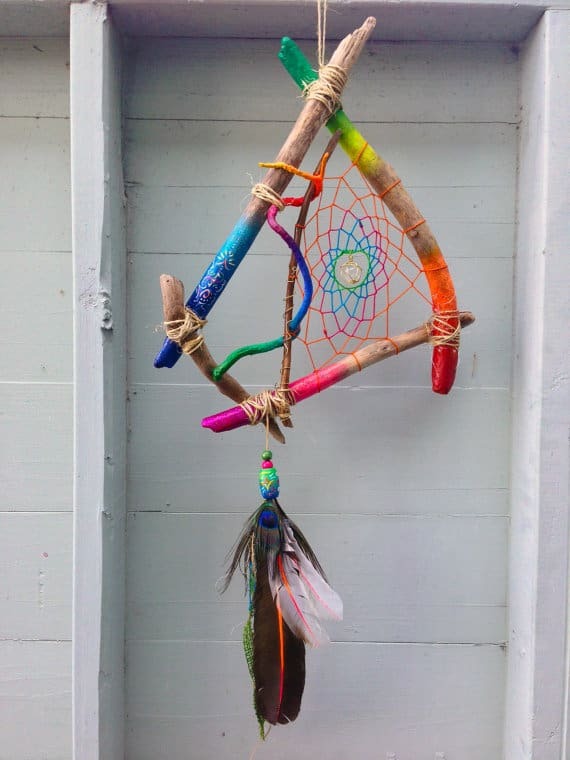 Isn’t this colorful driftwood dreamcatcher Robyn Chance Studio a delightful variant on the theme? 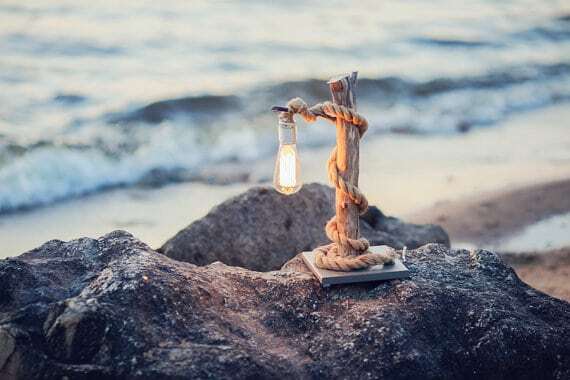 This driftwood lamp from GLighthouse is a beautiful work of art! I especially love the Edison bulb. If you’re looking for something smaller, these hand painted mountain driftwood keychains from Wilson Wood Workshop will do the trick! Have you seen any unique driftwood creations lately? Are there any naturally-occurring materials you’d like to try crafting with? Great collection! Sharing. Love the driftwood painted cottages. When we hit the beach this summer, I’ll have to keep my eyes open for ocean gems outside of shells! Visiting from Pin Junkie party. Thank you and thanks for stopping by! I’m hoping to find some more driftwood tomorrow evening if the rain clears – I’m specifically looking for flat pieces to draw houses on!